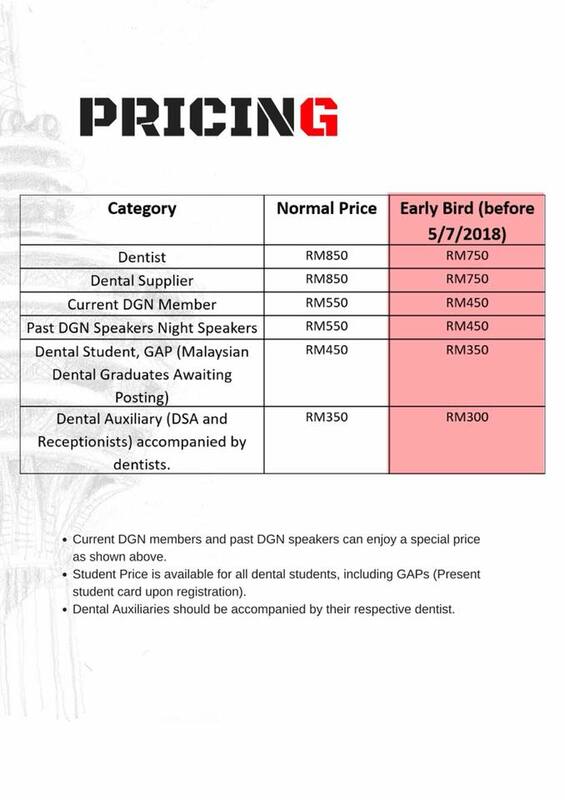 "Mark your dates, as Dental Genesis Network (DGN) Proudly presents the DGN Dental Practice Management Symposium! It will be held on the 5th of August 2018, at the Renaissance Hotel Kuala Lumpur. 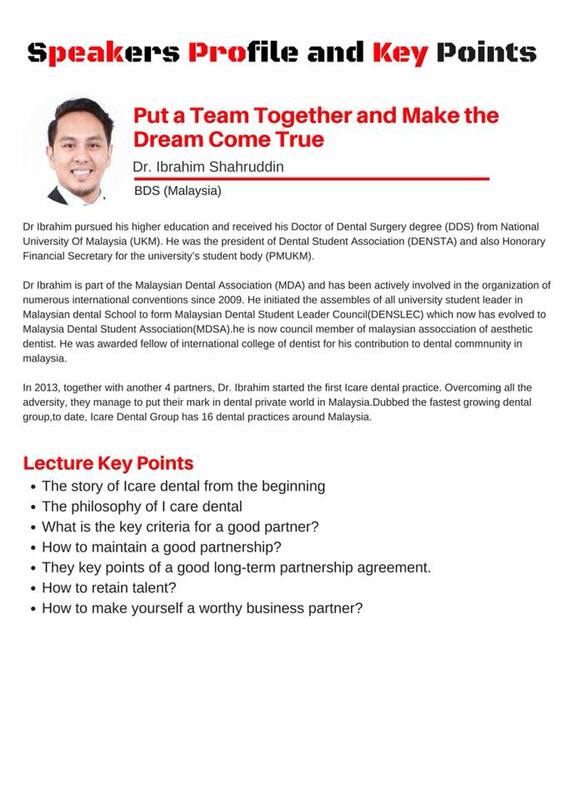 As DGN has been always focused on Dental Practice Management and Personal Development, this time around they have put together a panel of speakers who are all successful practice founders who founded and developed unique practices in Malaysia and Singapore. They will cover many areas such as practice management, building a dream team, modern dental practice concepts, how to run an aesthetic dental practice, green dentistry, and much more! The following pictures includes further details of the Dental Practice Management Symposium. For more info, please visit DGN FB page, or feel free to drop them a message.